I have one more beetroot and a whole cabbage in the fridge. I see borscht on the menu for tomorrow. Sometimes you need a break from kale. Pumped up with Vitamin C this morning. Not one, not two but three oranges and a lemon today. I can feel the morning crispness of Autumn. She has arrived. Dew is on the grass, there is a stillness in the air, the days are sunny the evenings cool. Time to wear socks again. 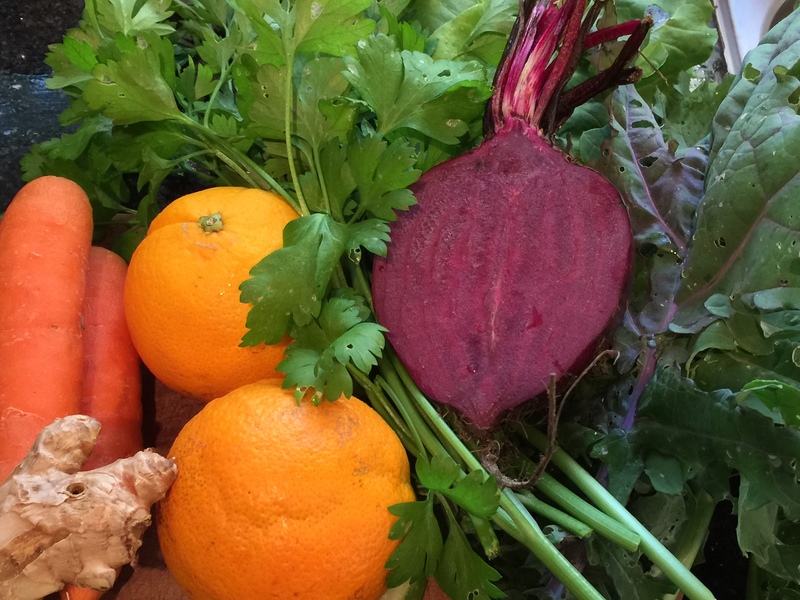 Parsley, red shiso, green shiso, carrots, ginger, lemon, oranges.